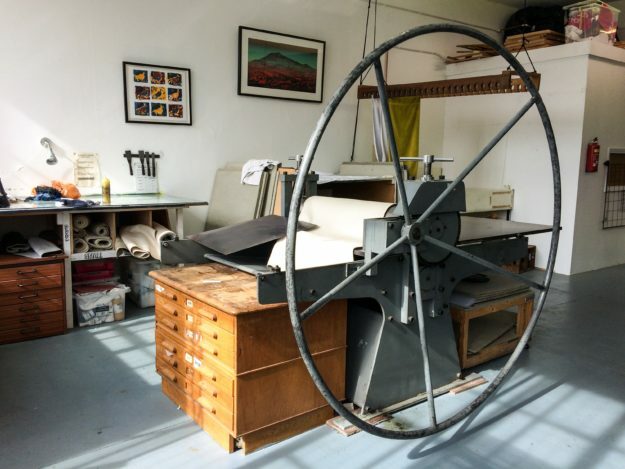 Here at East London Printmakers we are delighted to announce our latest course beginning on January 31st. 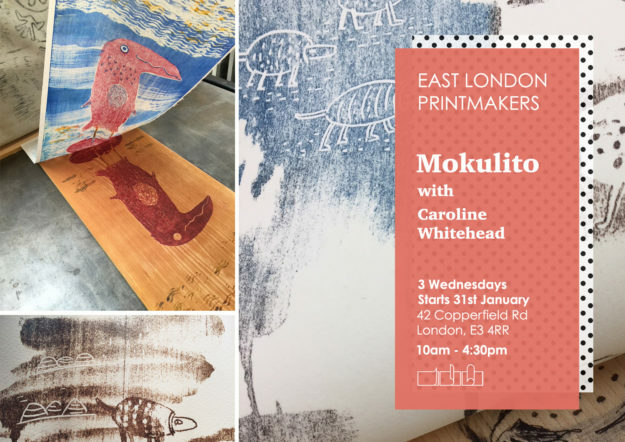 We are joined in the studio by Caroline Whitehead who will be guiding students through the process of Mokulito (Lithography using wooden plates). Like traditional lithography, Mokulito relies on the fact that water and oil do not mix and the image is drawn using greasy inks and crayons onto the printing matrix or plate. For mokulito, the image is drawn on a plywood plate, offering the opportunity to make large prints relatively economically. Because wood is an organic substance, the image changes slightly each time the plate is printed, meaning that editions are small and variable, with results depending on factors such as the species and age of the particular piece of wood and the weather. As the printing session progresses, the grain of the wood gradually becomes more dominant, often producing the evocative veils of colour that are so characteristic of this technique. A particular advantage of using wood as the printing matrix is the possibility of combining Mokulito with woodcut, which can be used to produce contrasting sharp lines and textures that would otherwise be impossible to achieve. This 9th December please invite your family and friends to visit our lovely canal-side studio for our festive opening. From 12-4pm we will be running printmaking demonstrations in both the screenprinting and etching rooms. We will also have artists’ stalls, a £10 print proof sale, and of course, there will be mulled wine and mince pies. Our open studios are always lots of fun and offer a chance to catch up with friends, drink a glass of wine, buy a print, and wander up through the park and catch the Annual Show before it ends the following day. Everybody is welcome and we very much look forward to seeing you there. 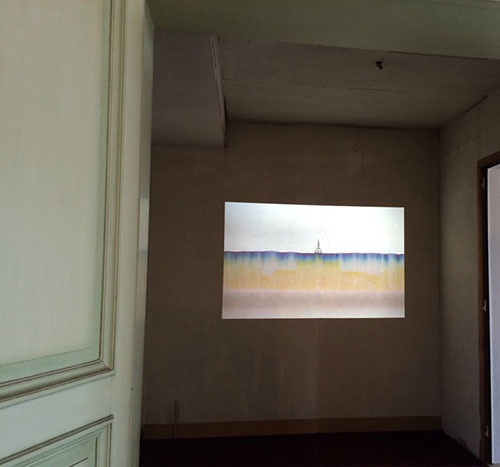 I examine time, duration & memory both in a personal and wider social context, giving these inherently ambiguous, intangible and subjective phenomena a material and spatial context. I am intrigued by the apparently enduring presence and stability of structures and form – social, physical, geographical and cultural – and the transitory and malleable nature of memory, a moment in time, where time as well as these constructs are perpetually moving and in flux. 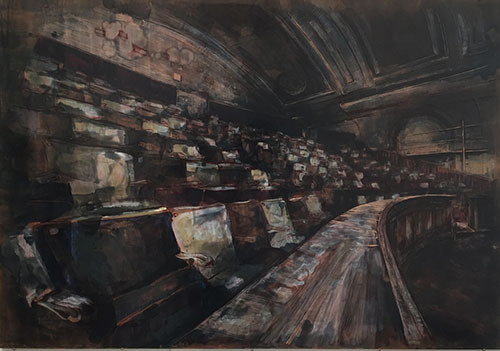 Redundant or vacant spaces often pose as protagonists in my work; their structure and form have a virtue of clarity, coherency and vividness but by their curious appearance and ambiguous setting, they remain notoriously evasive and ambivalent with the ever-present possibility of dissolution. As conduit spaces for my exploration into time and duration, they call to mind the brevity of our occupancy of space, and the dependency on our presence to ensure their abiding memory. 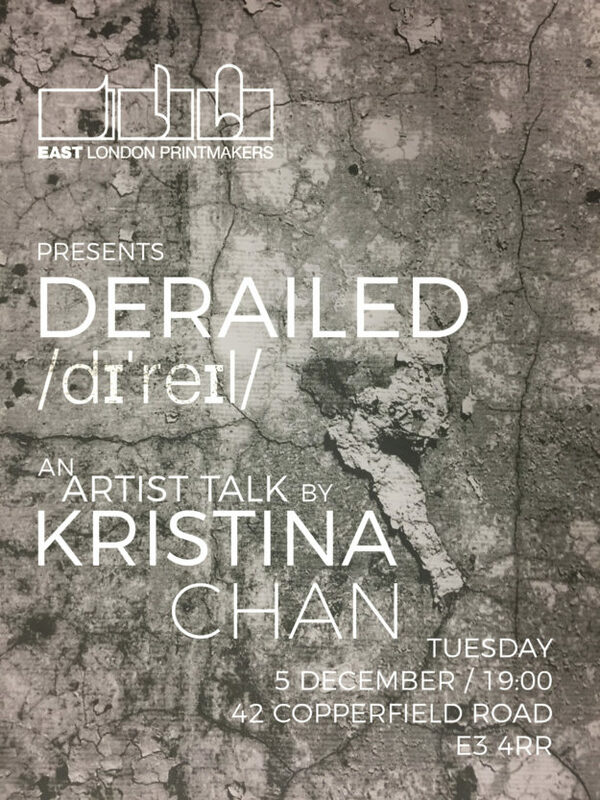 Kristina Chan’s works are a culmination and accumulation into site specific history to depict socio-cultural entropic narratives. 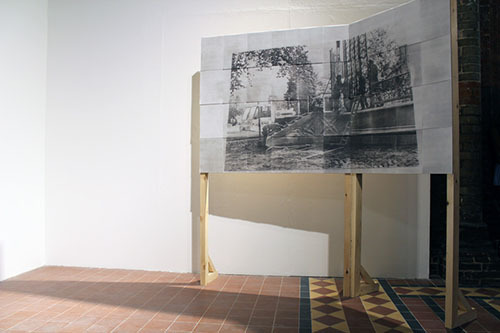 They explore the correlation between architecture and sculptural landscapes of derelict and disused spaces. She seeks sites where the intersection between function and intention have fallen into decline and disrepair, where untold histories recount themselves, in all their brevity, satire, beauty, and collapse. She works within the reimagined human landscape, looking back to see within: the immense intimacy of the world we shape to suit our needs and what happens when their obsolescence renders them irrelevant.Kristina Chan graduated with Distinction in MA Print from the Royal College of Art London, trained in analogue and digital photography, lithography, etching, screen print, and digital media manipulation. Her work has been widely exhibited including Musée du Louvre, Royal Academy of Fine Art Antwerp, Mall Galleries London, Royal Scottish Academy, Anise Gallery London, Lyon and Turnbull Auctioneers, Project 88 Mumbai, and Idio Gallery, New York, to name a few. She has participated in numerous art and publishing fairs including Artrooms London (Jan 2018), NEU NOW Amsterdam Online (Sept 2017), 4th Edition Hidden Door Arts Festival Edinburgh (May-June 2017), 1st Edition KoMASK Masters Printmaking Salon Antwerp (April 2017), Offprint TATE, TATE Modern (May 2015/2016), Small Press Projects, UCL Slade, London (February 2016), Artists’ As Independent Publishers Symposium touring the Museum für Moderne Kunst Bremen, Germany; Mindepartementet Museum of Art and Photography, Stockholm, Sweden; and Rom8 Gallery in Bergen, Norway; The Dyson Gallery London, UK; University of Applied Arts Archives Vienna, Austria; throughout 2016. Kristina was the 2017 recipient of the Elizabeth Greenshields Foundation Grant, winner of the RSA Guthrie Award for Outstanding Artist under 35 and a 2017 Wyng Media Award (WMA) Commission Finalist. Kristina received the Villiers David Travel Grant and award 2015, Canadian General Governor’s Award for Excellence 2010 and the Government of Canada’s Millennium Award and Bursary 2009. We are very pleased to announce that our calendar highlight, the annual show returns. 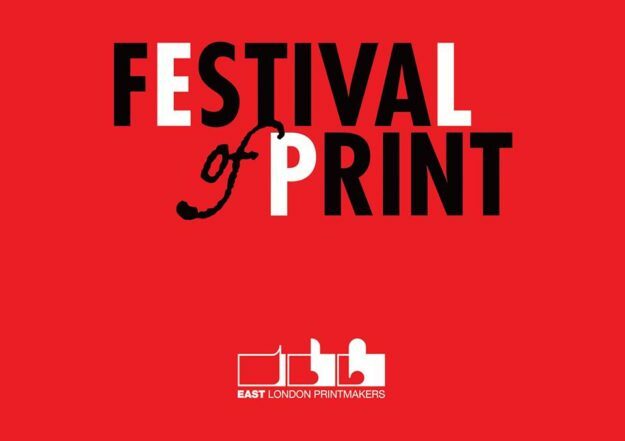 The Festival of Print exhibition will be taking place at the Art Pavilion, Mile End this 1st – 10th December. 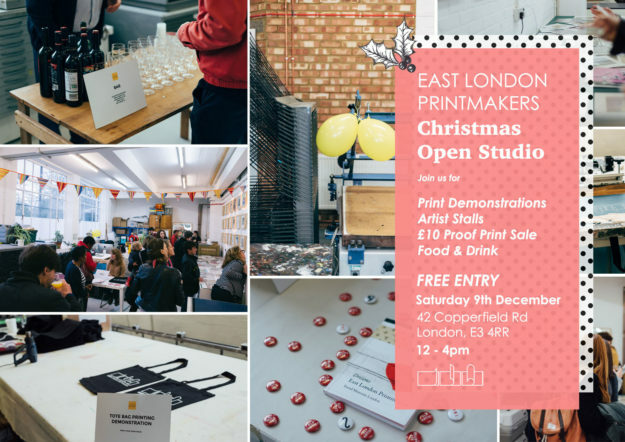 The exhibition will showcase over of 90 of ELP’s artists work, as well as be an interactive experience with workshop days, printing demos and a late opening First Thursdays event. We would be delighted for you to join us for the launch night, 30th Nov, from 6pm, where Shezad Dawood will be opening the show and we will also be revealing our Prize winners, from our generous sponsors. Please join us for a glass of wine as we celebrate this very special occasion. London’s contemporary illustration event is returning this December with a programme packed full of the most exciting illustration, printmaking and design. Back in residence on London’s Southbank at the raw industrial space of the Bargehouse, this year The London Illustration Fair puts the emphasis on play, with interactive artworks and hands-on workshops. With over 65 exhibitors, covering a breadth of practices, from emerging talent to established names, this is the destination to discover the best in illustration today. 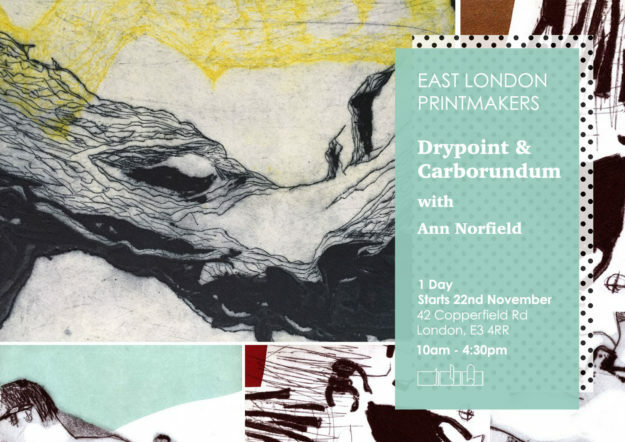 East London Printmakers is pleased to announce its latest course running this November – Drypoint & Carborundum. This one day course promises to teach you a depth of practice and offer you a new perspective on this classical print technique. Drypoint is a linear intaglio technique that makes use of surface, depth and texture. Line is drawn onto a flat plate (either metal, perspex or board) using any sharp implement. This is then printed using the same technique as etching. Carborundum is a way of building tone, depth and texture. Carborundum grits of different textures are mixed with an adhesive and painted onto a plate. 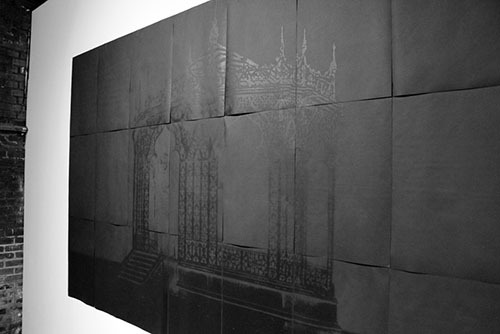 The plate is then inked and wiped using the same technique as etching, or it can be printed in relief. 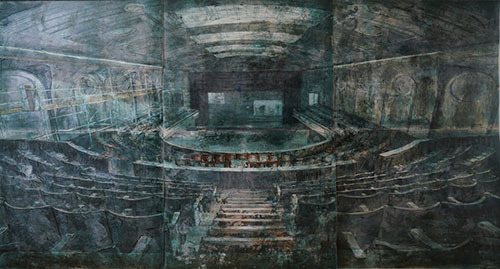 Upon completion of this course you will have produced at least 2 plates with a range of gestural, textural and tonal mark making and techniques. You will have printed these plates in monotone and colour, and learnt how to register multiple plates on one image.